With all the excitement over the past few days, I am late telling you about the latest Anything Goes Challenge over at Little Miss Muffet Stamps! My bad. So, you might remember seeing a card not dissimilar to this a few weeks ago, featuring Polka Dot Pals Tenn. I enjoyed making that card so much, I wanted to do another. I've had a hankering to colour Jr Hatter Michelle for a while. It's the hat and glasses. So cute. So, as Tenn was with blue, I though it only fair to put Michelle with some pink. Job done. Now this is the greatest! I love it so much! The image is adorable! 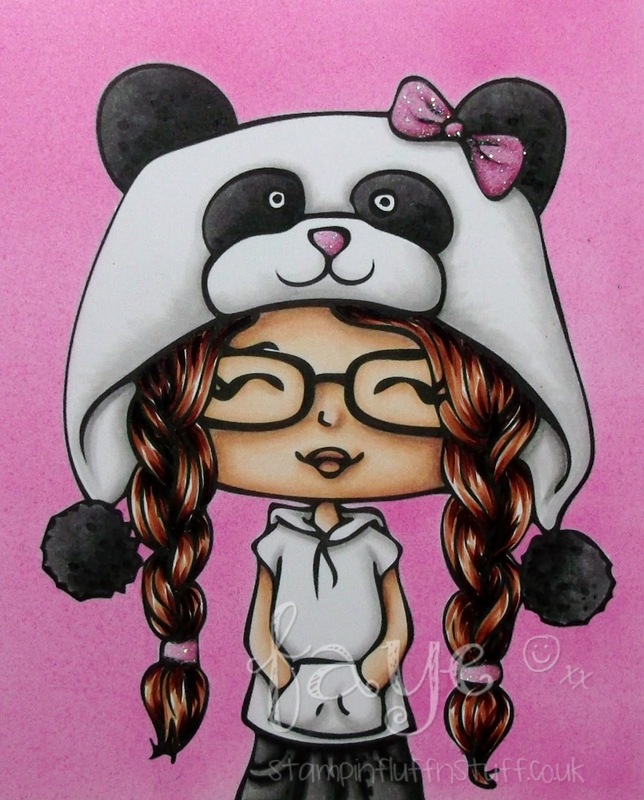 It is amazing what you can do with copics! Beautiful showcase of this sweet image! soooo cute! Beautifully coloured! Congrats on your BIG publication! woo hoo! 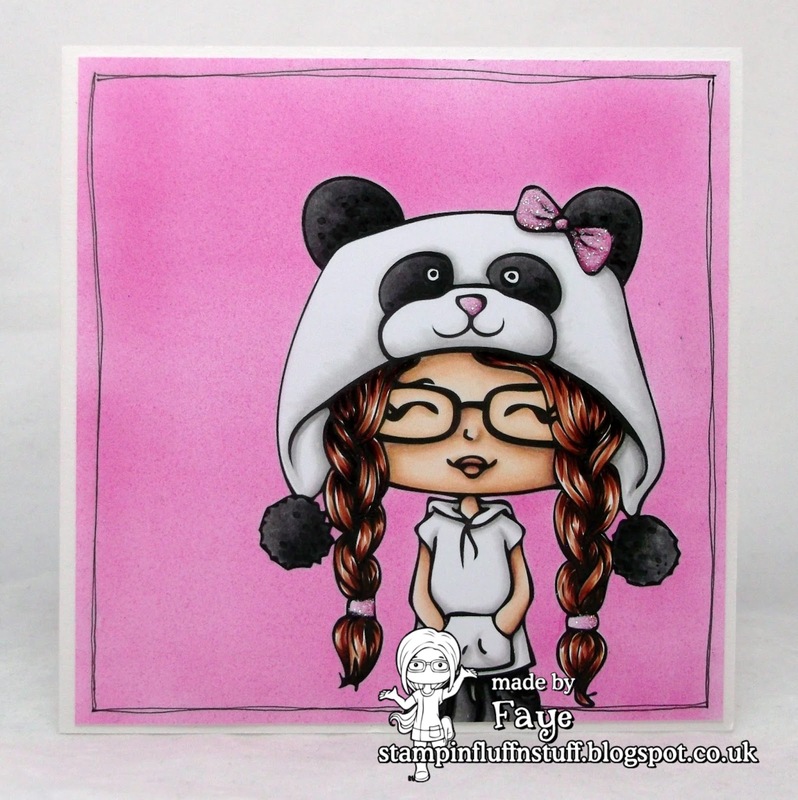 Super cute image and CAS design and the pink background looks fab, but then I would say that wouldn't I?! She is just SUPER-gorgeous - and so wonderful with her fabbie pink background!